You know what “sustainable” means. Or do you? When you see the word emblazoned on the label of a favorite wine, it conjures all things green: low-carbon footprints, renewable energy, and sleekly-designed planet Earth logos. “Sustainable” is just another way of saying “environmentally friendly.” Right? Well, that’s one piece of the puzzle. 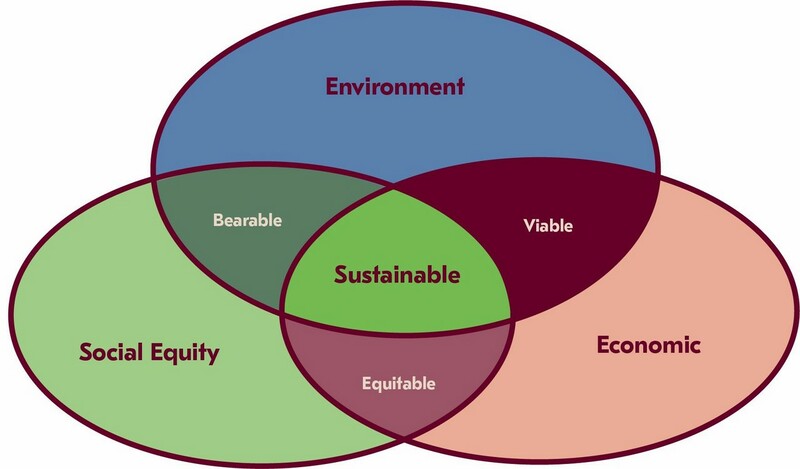 According to standards developed by the United Nations, sustainability is built on three pillars. One is indeed environmental. The second is economic. Most businesspeople prioritize the bottom line, so economic sustainability is usually integrated into winery business plans. Alas, fewer executives pause to consider the social aspect of sustainability. We are talking, of course, about people. Social sustainability considers the practices and policies that are best for all people connected with the company—from workers to suppliers to community members. A socially sustainable company aims to cultivate diversity, quality of life, equity, and leadership. Examples of social sustainability might include: a company-sponsored education fund, daycare program, team-building retreat, or healthcare initiative. The global sustainability standards are based on a 1987 United Nations document entitled Our Common Ground(a.k.a. The Brundtland Report). Prior, sustainability had been documented for at least four centuries. Despite its “buzzword” status, the concept is nothing new. Still, efforts to bring environmental awareness into the wine industry have intensified in the past decade. The result is an overwhelming array of sustainability certification programs—all heavily based on environmental standards. [Chart] Social standards often remain overlooked. How might wineries and vineyards pay greater attention to the social part of sustainability? Which organizations are already making an effort? Could companies be held more accountable for how they manage and relate to people? In some corners of the industry, we find beacons that might just guide the way. Sonoma County Winegrowers (SCW) has won considerable acclaim for their leadership in sustainable winegrowing. SCW has made trailblazing efforts to designate Sonoma County as the nation’s first sustainable winegrowing region by 2019. Executive Director Karissa Kruse has led the charge, very pointedly making social sustainability an integral part of the program planning. The only surefire way to get answers was to take the questions directly to the community—and listen. Over eight months, SCW set up three different feedback sessions to find out what the community concerns were. Sessions were held in Spanish and in English. Vineyard managers, family farmers, grape growers, and wineries were all involved. Participants were paid for their time. That was in 2016. Now, SCW is well on its way to enacting a social sustainability plan. In collaboration with local engineers and vineyard owners, they have drawn up blueprints and models for six different housing plans. By spring 2018, SCW expects to add 200 beds to the vineyards of Sonoma County. And a plan for SCW workplace development, including a partnership with the local community college and mentorships with wine professionals, will launch in January 2018. The lesson? Social sustainability can be good for the bottom line. Much of Navarro’s business philosophy is influenced by the founding couple’s time in Japan. Prior to launching Navarro with Deborah, Ted Bennett did a great deal of business in Japan and developed a keen admiration for the way his colleagues involved all levels of management in the decision-making. Thus was born an egalitarian spirit that still rules the winery. An active member of the nonprofit Anderson Valley Housing Association, Cahn (like Kruse) is deeply concerned about housing for her employees. “Not a lot of people in the area have their homes where they work,” she laments. Header photo by Maja Petric on Unsplash.